A few days back I did a post showing all my MAC lipsticks. Today I will be writing about one of those lipsticks. 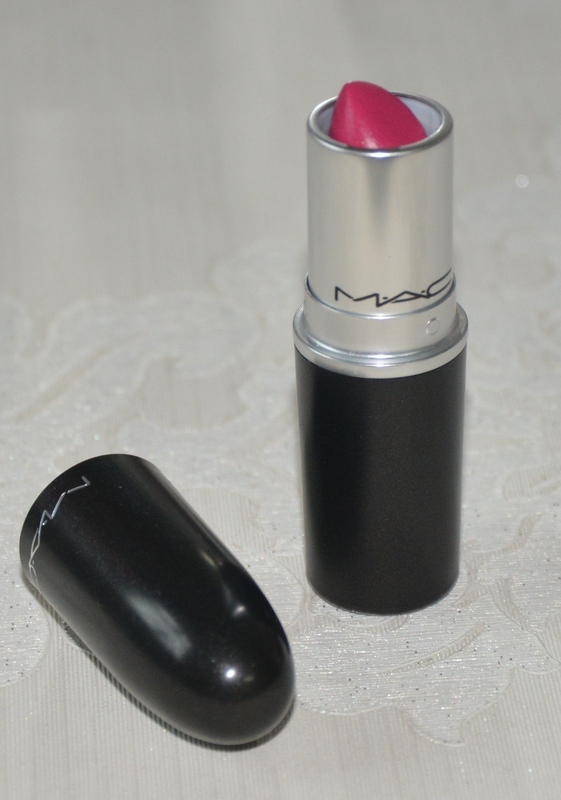 The color I have today is called Girl About Town and it is one of the most famous pinks from MAC. Price: INR 1450 (MAC have raise their prices, the time I bought this lipstick it was priced at Rs 990, then they raised it to Rs 1250 and now MAC lipsticks costs Rs 1450). 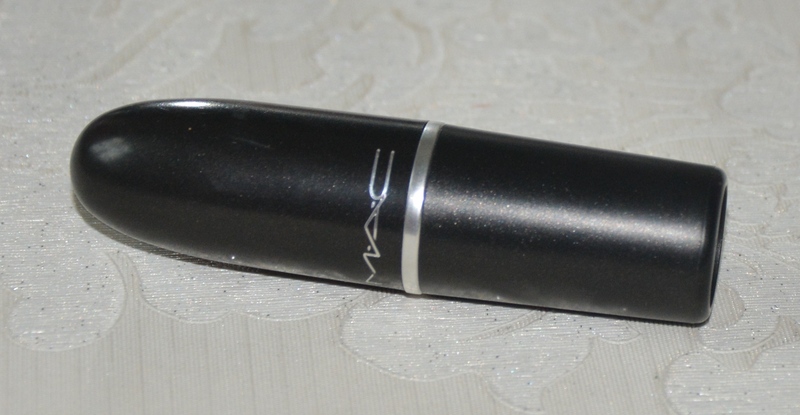 Like the traditional MAC lipstick packaging, this too comes in a black tube with a dome-shaped lid. 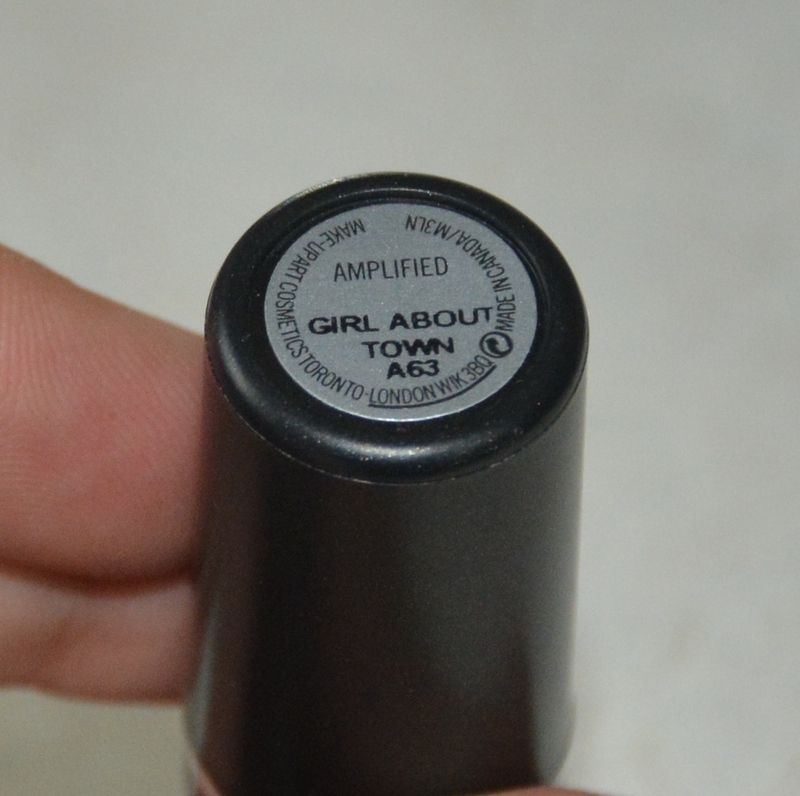 The packaging is completely opaque and the color name is written on a label pasted on the base of the lipstick. The packaging of the lipstick is cute and sturdy but the only problem is that they have to be recognized by name and for that, the lipsticks have to be stored inverted. This actually becomes a little more difficult due to the dome-shaped lid. 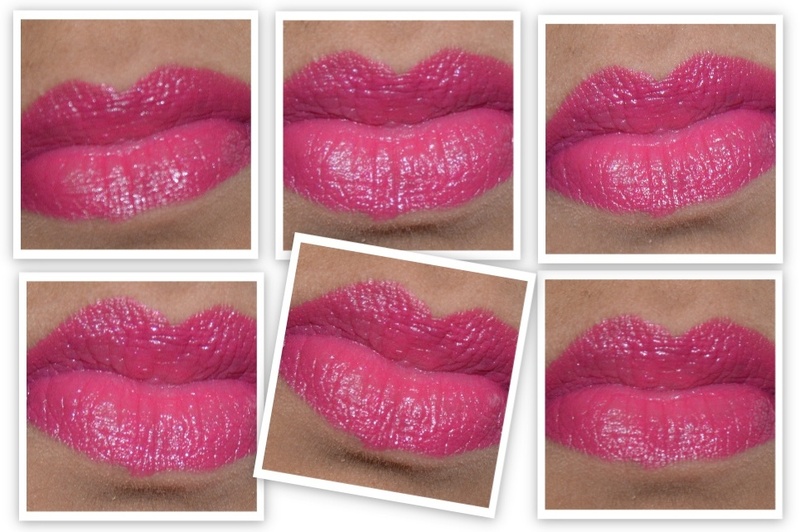 Color: Girl about town is a bright pink colored lipstick which does not contain shimmers. When the lipstick bullet is observed very carefully it might seem to have some shimmers, but when applied to the lips, no shimmers can be seen. Girl about town is a bold color that helps to make me look fairer. Its blue undertones also help to make my teeth look whiter. Pigmentation: The color is superbly pigmented; a single swipe of the color imparts the actual, fully opaque color to the lips. Texture: This lipstick has an amplified cream formula which helps it to glide on the lips easily without making them dry. As it has a creamy texture, the lipstick is transferable; it gets transferred on to cups. The formula is completely non-sticky and does not feel heavy on the lips. Staying Power: Like the majority of the MAC lipsticks this too does stain for a good amount of time. As the lipstick is transferable it might seem to fade during a meal, but the color can easily withstand a full meal. The color easily stays for more than 5 hours with some fading. Even after 5 hours or when the lipstick is removed with a remover, it does seem to be on the lips. 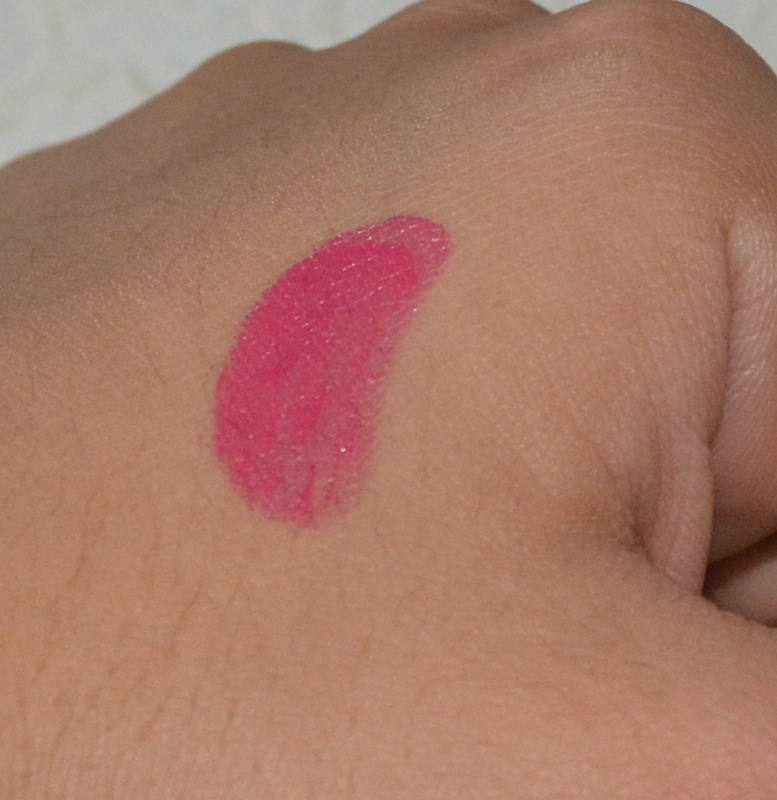 The lipstick stains the lips in a beautiful pink color, which seems pretty natural. Some girls might not like lipsticks that stain their lips, but I don’t mind that. Fragrance: All the MAC lipsticks have a nice vanilla fragrance to them and I love that fragrance. For the girls who do not like to have fragrance in their lipsticks need not worry as the fragrance fades away when the lipstick is actually applied to the lips. Yes! I loved this color and once I will finish it I will surely repurchase it. Yes! If you are looking for a wearable bright pink then it has to be Girl About Town! It’s a really pretty color! great review! This is one of my favorite color, and I am sure that I will buy this one pretty soon. I love that pink! Gorgeous colour Miss! Nice color, looks so great on the lips! I love the color! Looks great on you! I love these shades, but always chicken out when it comes to actually wearing them… A bold red is No problem, but Pink frightens me.